BY BRENDA L. FIGUEROA AND LAUREN AGORATUS, M.A. Families of children with disabilities may struggle to get services for their children in schools and the medical system. They may not know how to get their child evaluated, that there may be free or low-cost services, or that there are organizations that can provide them with information and support. Some parents become peer supporters for other parents, helping them to navigate challenging systems, after advocating for services in the medical or educational systems that are supposed to be helping their child. Parents may also become family leaders advocating for policy changes to make it easier for all families of children with special needs. Early intervention provides services for children from birth to age 3. These services often include developmental services and speech, occupational, and physical therapies, as well as family supports. Some states have a sliding fee scale for families; in other states, all services are at no cost to families. Always free to families are: evaluation, eligibility determination, development of an Individualized Family Services Plan (IFSP), and Service Coordination. Parents can locate the early intervention program in their state at www.nectac.org. For an overview of early intervention, including what it is and who is eligible see www.parentcenterhub.org/ei-overview/. Federally-funded Parent Training and Information Centers and Community Parent Resource Centers can help families with information on early intervention. Parent can find their closest Parent Center at www.parentcenterhub.org/find-your-center/. CHARTER SCHOOLS: Charter schools cannot discriminate in the application process and the application should not ask if the student has a disability. Students in public charters are entitled to FAPE in the Least Restrictive Environment (LRE.) Charters may not limit the services provided to a student with a disability and may not try to convince the family that the student shouldn’t attend the school. No later than age 16, and earlier if appropriate, youth with disabilities are entitled to participate in the development of their Transition to Adult Life plan, a required component of the IEP for transition-aged youth. At age 18, youth will begin making their own decisions regarding the IEP. You can get an overview of the transition to adult life process and requirements at www.parentcenterhub.org/transition-starters/. Parent centers can also help parents and youth navigate this often challenging process. Private plans may be available through dependent coverage offered by the parents’ employers up to age 26 (in some states it’s higher.) For children with developmental disabilities (DD), they can maintain coverage until the parent retires using the disabled dependent provision. Parents can continue their child’s private health insurance due to DD by getting a “certification of the handicapped” form from their employer. If parents do not have access to insurance through their jobs, there are Qualified Health Plans which have Essential Health Benefits available on the Marketplace. There is information to compare plans, costs, benefits, and possible financial help to purchase at www.healthcare.gov. they can reapply for both at age 18. This is because the child is considered a “family of one” and parental income is no longer considered to be their income. MEDICARE: Children may also be eligible for Medicare under special circumstances, for example, if they need dialysis or kidney transplant. If a parent retires, dies, or becomes disabled, their child may also be eligible for Medicare as a Disabled Adult Child. This is known as a dual eligible for Medicaid and Medicare. For more information on Medicare, see www.ssa.gov/dibplan/dqualify10.htm#age22. If families have a second insurance company (including Medicaid or Medicare), they should pick up what the first didn’t cover. This is also true if parents have prescription coverage under two plans. See www.spanadvocacy.org/content/coordination-benefits-having-more-one-insurance-plan. There are mandates for autism/DD insurance coverage in some states which may help families access services. (In New Jersey, this insurance mandate applies to all children with developmental disabilities, including but not limited to autism). Families need to know if it applies to their type of plan. In some states it only applies to state health benefits plans. In other states, it excludes plans that are self-funded or self-insured because those plans are exempt from state regulation due to the Employee Retirement Income Security Act. For a current list of states that have insurance mandates, see http://www.autismspeaks.org/advocacy/states. not covered like food thickeners, caloric supplements, etc. The state’s Maternal and Child Health Title V program may have resources for funding these things found at https://perfdata.hrsa.gov/mchb/mchreports/link/state_links.asp. Families may not realize how important dental care is to overall health. Children have died from lack of access to dental care (learn about one tragic story at http://abcnews.go.com/Health/Dental/story?id=2925584) Many families don’t know that the Marketplace has dental benefits. Families need to check if dental benefits are included in their medical plan at www.healthcare.gov/find-premium-estimates. Families can also find information on available stand-alone dental plans at www.healthcare.gov/dental-plan-information/. If a child is also eligible for Medicaid, dental coverage is included. The private plan would pay first; Medicaid pays what’s left over. Even if a child only has Medicaid, he/she can get dental care. If a child is uninsured, Donated Dental Services may be able to provide free care. State programs are listed at http://dentallifeline.org/our-state-programs. Low cost dental care is found at www.nidcr.nih.gov/oralhealth/popularpublications/findinglowcostdentalcare. Vision care is another important component of overall healthcare. Assistance with vision care including glasses is found at www.nei.nih.gov/health/financialaid.asp. Sometimes funding is affected by how the services are delivered. For example, a child may need related services to participate in and benefit from their education. But these are different from those that may be medically necessary at home. If insurance cuts back on nursing or therapies at home if a child also gets some through early intervention or school, families may need to appeal the cutback depending on if the service is medical or educational/developmental. Families also need to know that schools may ask to access their public or private insurance to help pay for related services. There is a concern that this could adversely affect some Medicaid waivers with caps, so parents need to consider the implications of their consent. Even if parents do not consent to access insurance, schools must still provide these services. HOME MODIFICATION: Some children may require home/vehicle modification such as ramps, accessible bathrooms, lifts etc. Some costs may be covered by insurance or a Medicaid waiver with a doctor’s note but usually parents need to look for other funding. Sometimes families pay up front and get reimbursed. Funding sources could include a state/county Office on Disabilities. 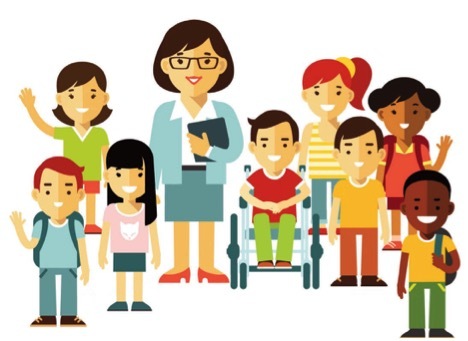 For children with developmental disabilities, there may be a state developmental disabilities agency that provides services or connects families to help. The Administration for Children and Families has a section for parents on finding help at www.acf.hhs.gov/help-for-parents. In every state there are Councils on Developmental Disabilities which can be found at www.nacdd.org/Councils.html. States that have a Catastrophic Illness in Children Relief Fund may also cover home modification. Lastly service organizations such as the Elks, Kiwanas, or Jaycees may do fundraisers (Elks: www.elks.org/states Kiwanis: http://locator.kiwanis.org/ FindAClub Jaycees: www.jci.cc/local/info/usa/chapterlocator) See also www.mychildwithoutlimits.org/plan/assistive-technology/funding-assistive-technology/funding-home-modification/. FAMILY SUPPORT: Families of children with a developmental disability may be eligible for family support services such as behavioral support, assistive technology, respite, etc. Parents can check with their relevant state disability agency. Parents of children with special needs often have financial hardship due to the extra costs of raising their child. There is a good national website to check for other available resources for families such as help with housing, food, utilities, etc. found at www.benefits.gov/benefits/browse-by-state. Help with utilities is found at LIHEAP-Low Income Home Energy Assistance Program www.acf.hhs.gov/ocs/programs/liheap . Assistance with phone service for families is now available at http://blog.usa.gov/post/49186667560/low-income-families-can-get-help-paying-for-phone or phone/Internet at Lifeline www.lifelinesupport.org/ls. Families may find information on funding for educational or medical issues by talking to another parent in their state. Parent-to-Parent has trained volunteer parents matched to families of children with the same condition. Support parents have navigated the educational and medical systems under similar circumstances and will be able to offer helpful information. Parent-to-Parent and other family organizations also have social media where families can reach out for information on funding for their child and connect with each other. Parent-to-Parent can be found in most states at http://www.p2pusa.org/parents/. The US Department of Health and Human Services’ Maternal and Child Health Bureau funds a national center on healthcare transition, “Got Transition?” at the Center for Healthcare Transition Improvement. Their resources for families and professionals can be accessed at www.gottransition.org. Financial planning can also include things like Special Needs Trusts so that the child won’t lose eligibility for future benefits (www.pacer.org/publications/possibilities/saving-for-your-childs-future-needs-part1.html). There are also work incentive programs that allow benefits to continue based on employment income. Basically Medicaid/Medicare will provide insurance and SSI will be a monthly benefit check. Ticket to Work allows people with disabilities to work without jeopardizing their benefits and more information is found at https://choosework.ssa.gov/about/work-incentives/index.html. One of the best resources for students with special needs thinking about college is found at www.thinkcollege.net . It is important to note that although Individualized Education Programs and the Individuals with Disabilities Education Act are no longer applicable after high school, all colleges must follow the non-discrimination mandates under the Americans with Disabilities Act as well as Section 504 of the Rehabilitation Act (if the college receives any federal financial assistance). At ThinkCollege.net students will also find listings of college programs for students with intellectual disabilities. Although ThinkCollege.net focuses on students with intellectual disabilities, there is great basic information on applicable laws, and tools to help students with all types of disabilities. CAREER & COLLEGE READINESS & SUCCESS CENTER: “The mission of the CCRS Center is to serve Regional Comprehensive Centers in building the capacity of states to effectively implement initiatives for college and career readiness and success.” The center is found at https://ccrscenter.org. NATIONAL TECHNICAL ASSISTANCE CENTER ON TRANSITION: “NTACT’s purpose is to assist State Education Agencies, Local Education Agencies, State VR agencies, and VR service providers in implementing evidence-based and promising practices ensuring students with disabilities, including those with significant disabilities, graduate prepared for success in postsecondary education and employment.” NTACT is found at https://transitionta.org. NATIONAL RAISE TRANSITION TECHNICAL ASSISTANCE CENTER: RAISE assists parent centers in providing assistance to families and self-advocates to (1) access information on the Rehabilitation Act; (2) receive support in navigating multiple programs (3) learn strategies to participate in the development of meaningful plans for independence; and (4) become collaborative leaders with transition professionals (www.raisecenter.org). The next generation of self-determination is Supported Decision-Making. This means that the individual makes his/her own decisions with the help of a supporter or a support team. Children with special needs have different capabilities regarding decision-making, but they can make choices with support. As adults, they should have a say in where they live, work, etc. Guardianship is no longer the only option, nor is it the preferred option. Not only does guardianship take away the child’s rights, it is a costly legal process, and gives the courts and government agencies potentially life-long influence over the adult with the disability. There is some flexibility in states using limited guardianships, but this still takes away many of the rights of individuals with disabilities. Using Supported Decision-Making will let people with disabilities make the best choices in their lives, with support. • Advanced Directives: Contains choices for end-of-life care; also called living wills. • Healthcare Proxy: Used for medical decisions. • Power-of-attorney: When another person has control over legal decisions. A durable power-of-attorney can be revoked if the person has temporary incapacity. • Supported Decision-Making Agreements: Making decisions with assistance from a support person. The National Resource Center for Supported Decision-Making (www.supporteddecisionmaking.org) has a range of resources and tools that can be used to implement supported decision-making. The publication “Self Advocacy Guide to Guardianship” is also a good resource at www.disabilityrightsidaho.org/images/content/docs/Self-Advocacy%20Guide%20to%20Guardianships.pdf. Housing funding is complex and comes from many sources including vouchers. Housing and Urban Development and Section 8 are based on income (https://portal.hud.gov/hudportal/HUD and https://portal.hud.gov/hudportal/HUD?src=/topics/housing_choice_voucher_program_section_8. Medicaid has Home and Community Based Services and other waivers which provide supports in the community. Centers for Independent Living have institutional diversion initiatives which maximize independence and living in the community. The National Center on Supported Decision-Making also has a section on housing (http://www.supporteddecisionmaking.org/tags/housing). Some states have pediatric and adult daycare. These can be used either short or long term. Other Medicaid programs such as consumer directed care and other Personal Care Assistance programs help individuals with activities of daily living such as personal care, which allows them to remain in their home. Too often Medicaid has had an institutional bias when the supports could be better used to keep individuals in their homes and communities. States that have Katie Beckett Waivers are based on the premise that it is more cost effective and better for the individual to remain at home if they meet the institutional level of care criteria, even if they need 24-hour nursing. (See www.familyvoices.org/admin/work_healthcare_financing/files/ma-kbw.pdf for more information). In addition, some states have programs for developmental disabilities that are self-directed in which the consumer and their family decide on services, which could include medical personnel in the home. It should be noted that there are alternative placement options including those in the home and community. The American Academy of Pediatrics has guidelines created in a nonjudgmental way to support families in whatever they decide is best (http://pediatrics.aappublications.org/content/134/4/836.full). Besides Special Needs Trusts, new legislation has created an alternative savings plan called the ABLE (Achieving a Better Life Experience) Act. The ABLE Act uses plans that are similar to a 529 savings plan used for college. Typically, families were only allowed to have up to $2000 in assets in their child’s name, or the child would lose eligibility for Medicaid and/or SSI. The ABLE Act allows families to deposit up to $14,000 yearly, for a total of $100,000 savings without affecting benefits. Income earned by the account, and contributions to the account, are not taxable. People with disabilities are eligible if they have a condition that occurred prior to age 26. In addition, the individual must meet the eligibility criteria for SSI or SSDI (Social Security Disability Insurance.) Please note that there can only be one ABLE account in the individual’s name. It is also possible to have both a special needs trust and an ABLE account. There are some concerns from advocates including state differences in plans, how it affects military families who move often, Medicaid pay-back if the beneficiary dies, clarifying qualifying expenses definition, and adversely affecting SSI payments. The ABLE National Resource Center (ANRC) is a collaborative whose supporters share the goal of accelerating the design and availability of ABLE accounts for the benefit of individuals with disabilities and their families. Their educational and other resources can be accessed at http://www.ablenrc.org. Parents want to ensure that their child is as independent as possible as an adult regardless of disability. In every state there are Centers for Independent Living that help students access supports to develop life skills, postsecondary education, and employment. These are found at www.ncil.org/directory.html. Parents of children with special needs can get the services needed for their children. They may find they have to advocate for their child, teach him/her to self-advocate, or even become leaders to create systemic change. Brenda L. Figueroa, in addition to being the Director of the Empowering Parents to Address and Prevent Obesity in Children with Special Healthcare Needs Project at the Statewide Parent Advocacy Network (SPAN), is the Program Coordinator for NJ Statewide Parent to Parent and the Northwest Parent Group Specialist on SPAN’s START Project.